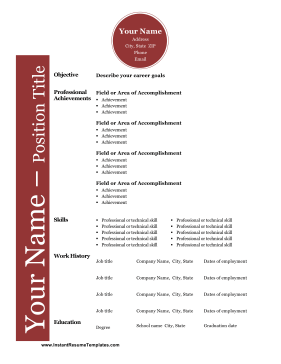 Perfect for career workers and those with a lot of experience, this printable professional resume is decorated in red and lists the job title on a sidebar.Match the set! Create a unified and professional application by pairing this resume with the matching cover letter here. More sample cover letters can be found at CoverLetterExamples.net.